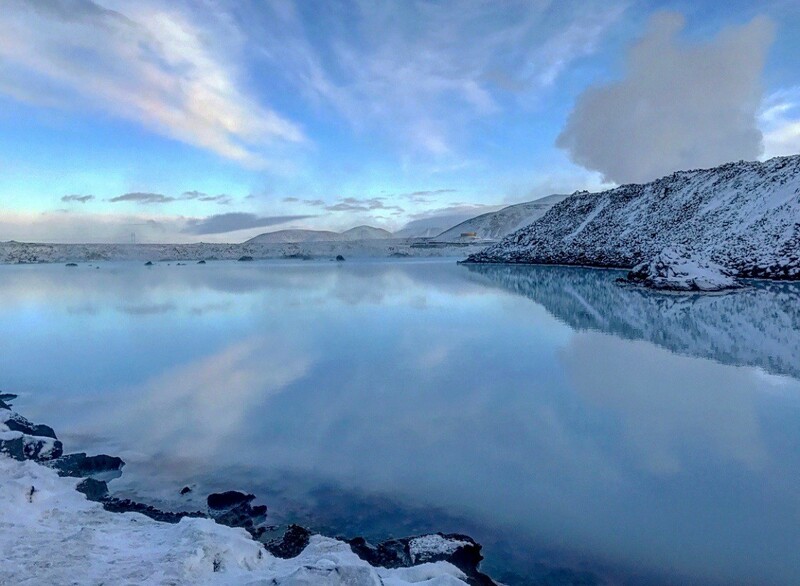 Iceland is a country with amazing landscapes, delicious & unique cuisine, and a welcoming culture that should make it top of list for any adventure traveler. With a number of direct flight options available from many US destinations, travel is quick and affordable. We recently embarked on a five day road trip across Iceland’s southern coast. 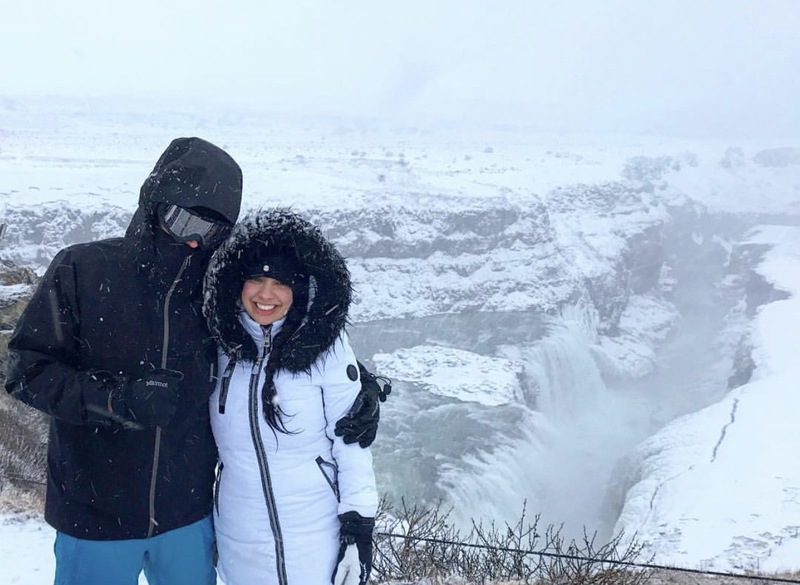 While the rest of the country has a lot to offer, our research showed this was the best way to see the most of Iceland in a short amount of time. 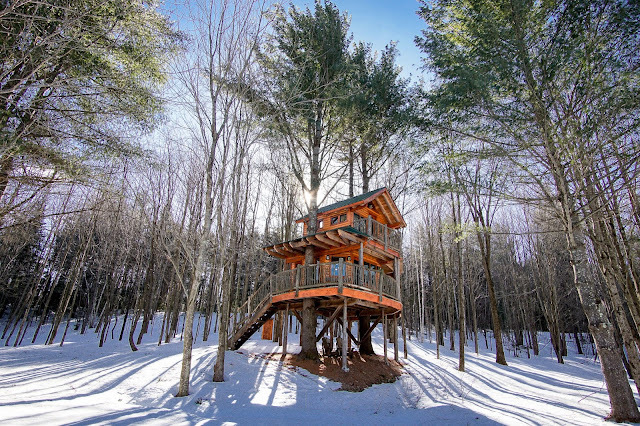 This post will give you all the information you need to know to experience a great five day road trip. 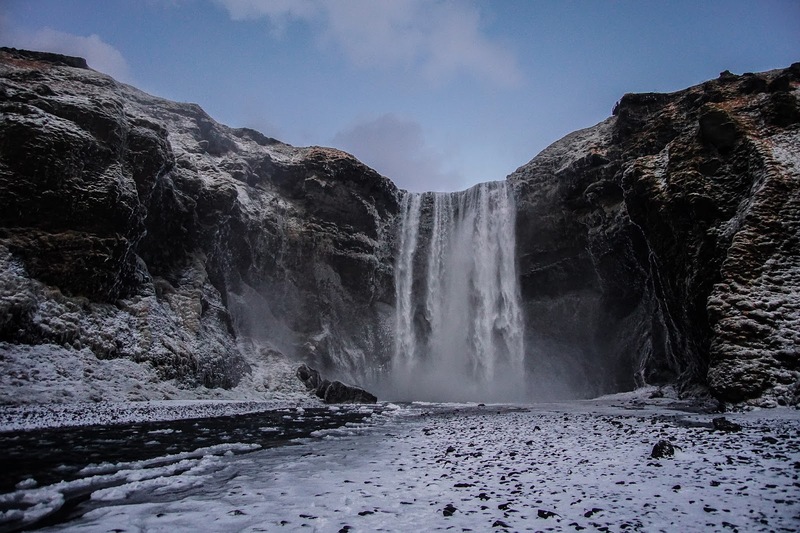 Note that if you are travelling to Iceland in the Winter like us, there is limited daylight. For our trip there was between 5-6 hours of daylight. 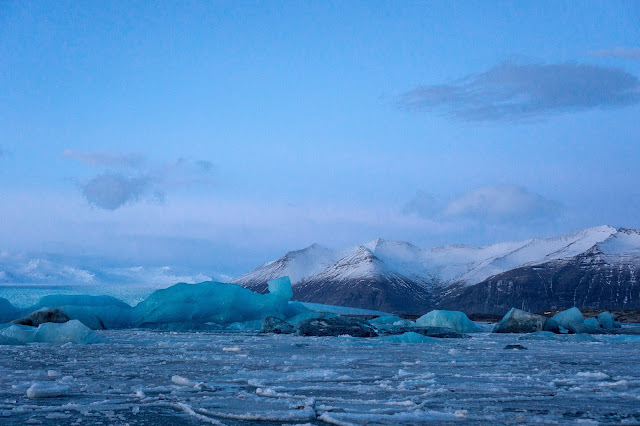 However, Iceland’s twilight was considerably longer than Boston. Even though the sunrise wasn’t until 11:00am, it started getting light out by 9:30am. 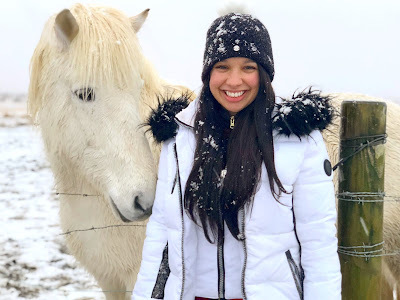 While traveling in the Summer has advantages to see more during daylight, traveling in the Winter also has its advantages- less crowds, lower pricing, the northern lights, and the beautiful snow covered landscapes of Iceland. 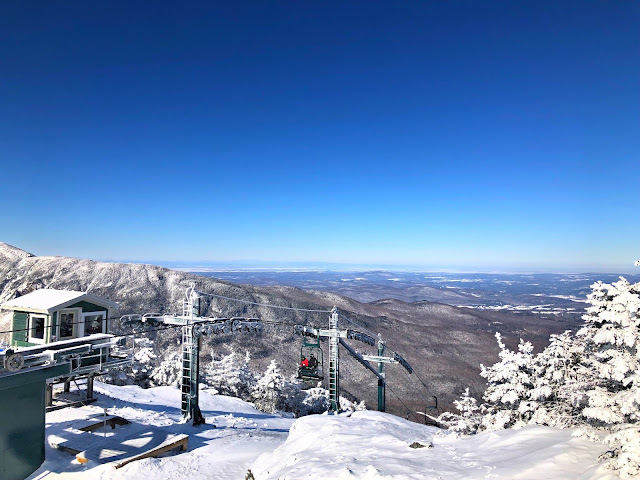 We took a red eye flight from Boston. The flight was a little over 5 hours long. Due to the time change, we landed around 7am. We rented a four wheel drive vehicle from Sixt Rental Company. After a 50 minute drive to Reykjavík, we quickly checked into our Airbnb and departed for Iceland’s Golden Circle. 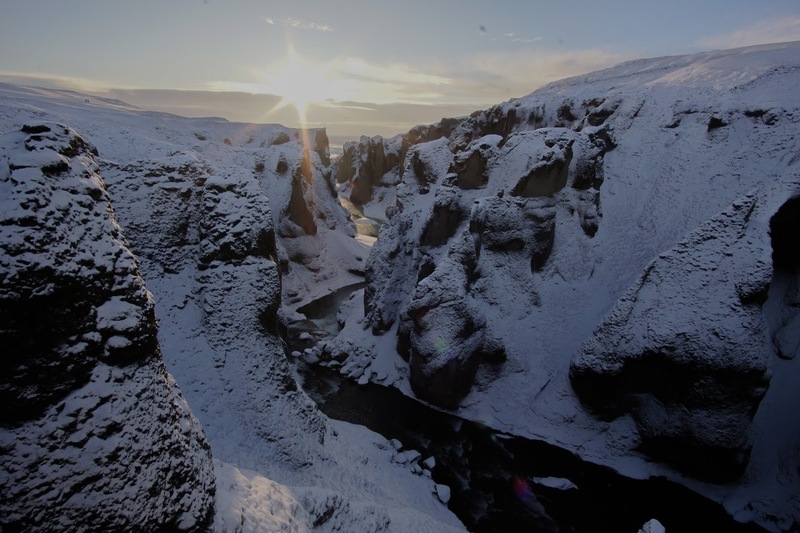 The Golden Circle is Iceland’s most popular sightseeing loop due to its close proximity to Reykjavík and ability to drive the loop in a day. It’s pretty touristy and the sites will likely be crowded but they are definitely worth seeing. We followed this google map that plots the highlights of the Golden Circle route. While there’s a lot of pullovers and landscapes to see, we felt like the Golden Circle has three key stops- 1) Gullfoss Waterfall (translated to ‘Golden Falls’), 2) The Geysir and 3) Kerið Crater. Most people recommend driving the loop clockwise, as there is more to see the beginning of the loop. The whole loop tooks us about 5 hours to drive. 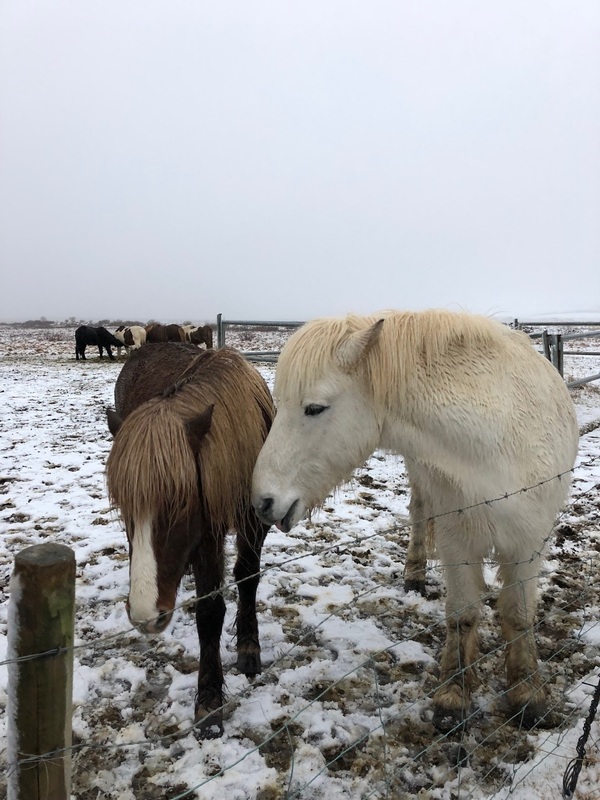 Be sure to check out the Icelandic horses along the route. They are very friendly! After we finished the Golden Circle drive, we went out to dinner in Reykjavík. 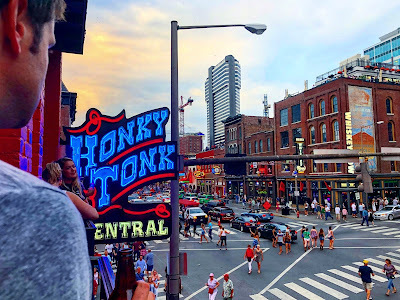 There are a number of great local restaurants and nightlife. Be sure to try some of the great local dishes like lamb, puffin, langoustine tails, and whale. Tip of the Day-Driving: Be sure to rent a four wheel drive vehicle. The weather in Iceland can be unpredictable in the Winter and there are some off-the-beaten-path hidden gems you won't want to miss out on. The next day we started the road trip down the southern coast. Our destination was Kirkjubæjarklaustur near Vik. 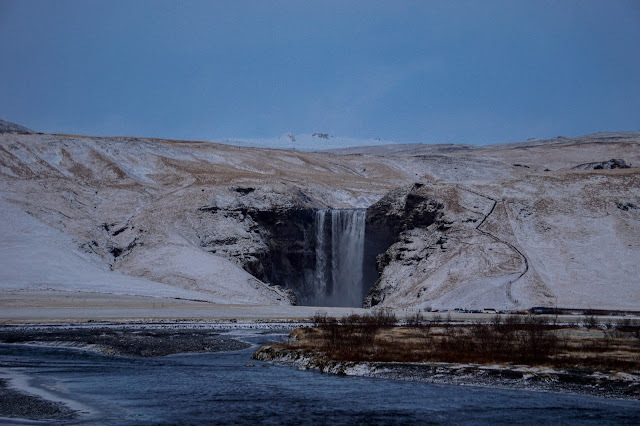 Driving the southern coast is essentially one main road the whole trip (Þjóðvegur- Route 1) so directions are very easy. Before you get down the coast, you will drive through the town of Selfoss about an hour from Reykjavík. If you need to pick up groceries and gas, you should do so here as the amount of places to stop at for the rest of trip become a bit sparse. Throughout the drive the sights are pretty well marked with roadside parking lots. 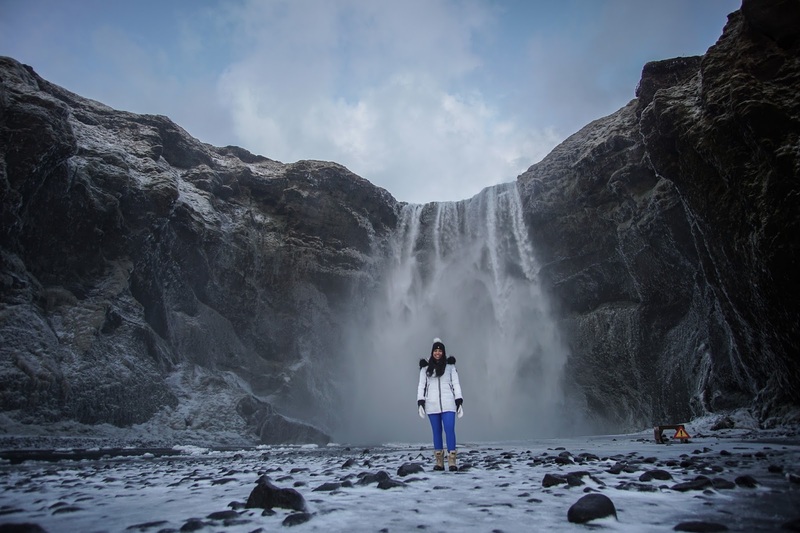 We stopped to see Seljalandsfoss Waterfall, Skógafoss Waterfall and our last big stop, Black Sand Beach in Vik. While each day you will be able to make a couple of main stops, the drive in itself is non-stop sightseeing. 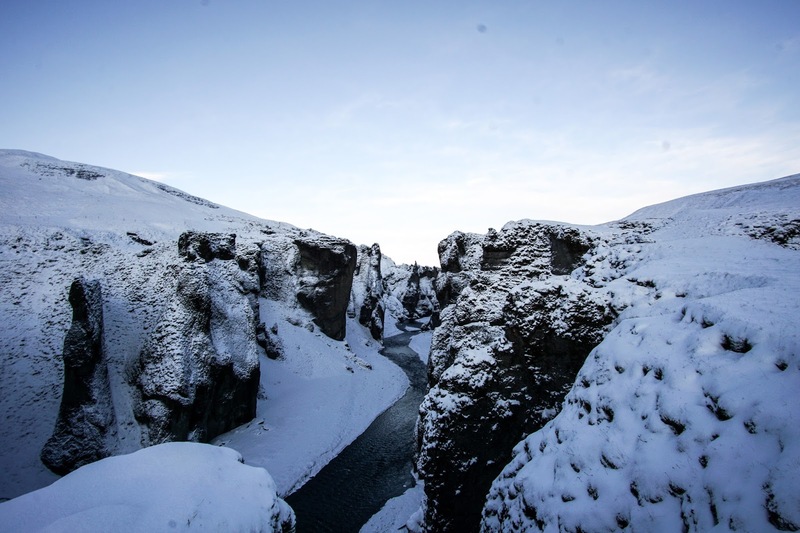 There are countless vistas and landscapes you will find yourself stopping at to take in the Icelandic Winter beauty. For the night, we had an Airbnb in Kirkjubæjarklaustur. Once you get out of the main city areas, you better your chances of seeing the northern lights. Due to the remote nature of our rental house and complete surrounding darkness, we got lucky and saw the northern lights around midnight for a short period of time. We were able to take in the sites for about an hour and snap some amazing photos. 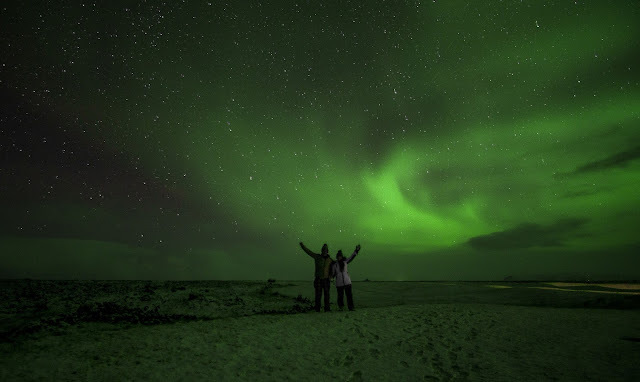 Tip of the Day- Northern Lights: Consider seeing the Northern Lights a bonus on your Iceland trip. 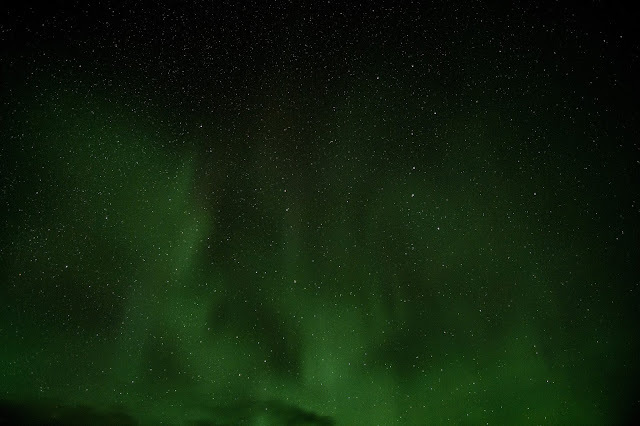 To help track the northern lights forecast, you can leverage this site. Be sure to periodically check outside as they can come and go quickly if it’s not a high activity night. We left Kirkjubæjarklaustur and our first destination was a sunrise hike to see Fjaðrárgljúfur Canyon. The hike took about an hour up and down, including stopping to see many scenic views of the canyon. 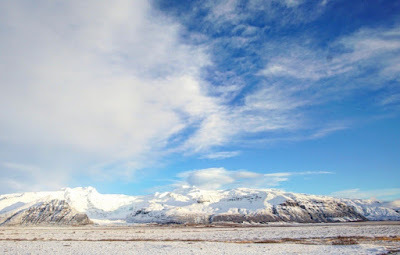 From the canyon, we made a quick stop at the Skaftafell Visitor Center to grab lunch. 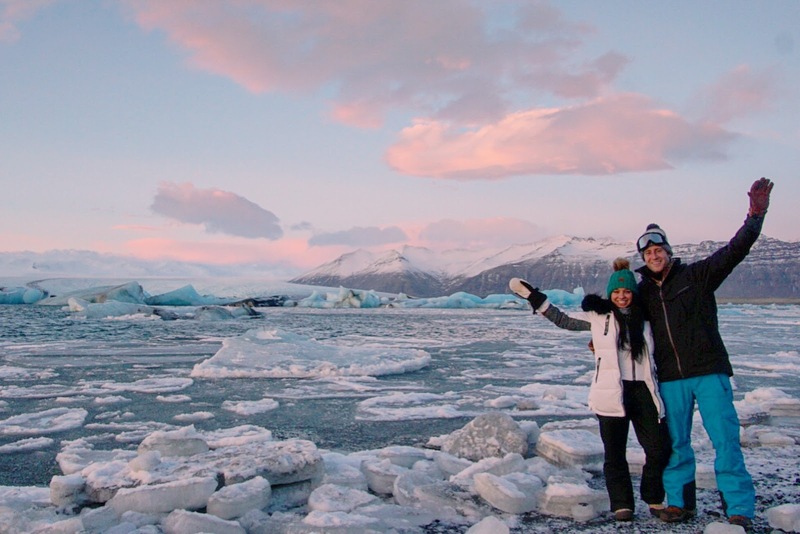 Then we headed to Jökulsárlón Glacier Lagoon to catch the sunset. The glacier lagoon was one of our favorite sites of the trip. That evening we stayed at the Hali Country Hotel which had a restaurant onsite and ended up being our best meal on the trip. 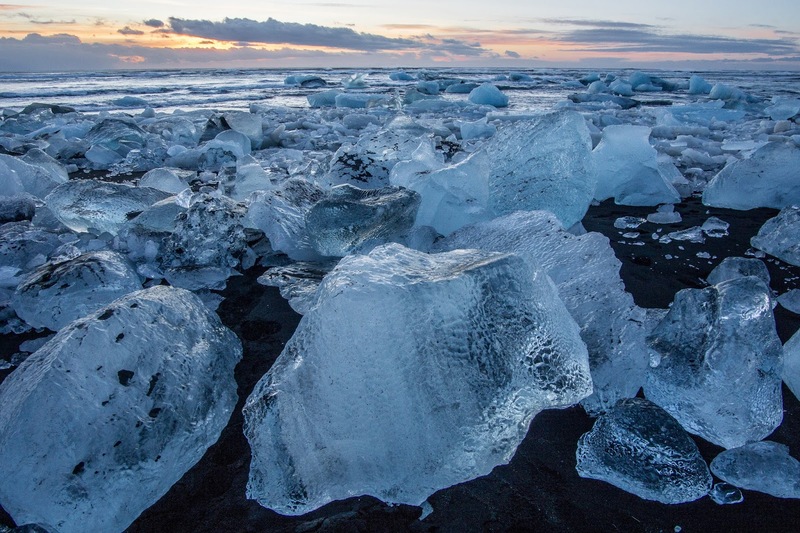 Tip of the Day- Equipment: Some equipment that is useful for a Winter trip in Iceland are ice crampons that slide over your boots, Ski goggles as Iceland is often very windy and conditions are unpredictable, and water resistant coat and clothing. 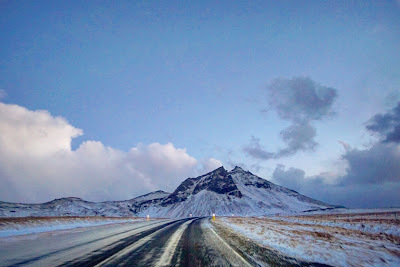 We spent day 4 traveling back to Reykjavík from Hof along the same road we took to get there- Route 1. Since the days were on the shorter side, this gave us the opportunity to see attractions we didn’t stop at on the way there. For sunrise we stopped at the Jökulsárlón Glacier Lagoon to see the ocean side where the icebergs float down the river and meet the ocean. It was a completely different and beautiful perspective. 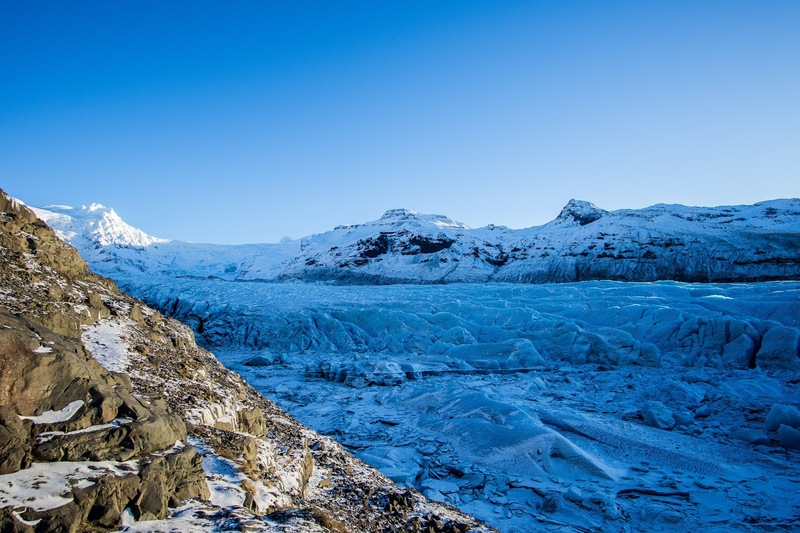 From there we stopped at the Svínafellsjökull Glacier. This was a little more off-the-beaten-path but after travelling a mile on a dirt road, it was just a short walk to see a glacier up close. 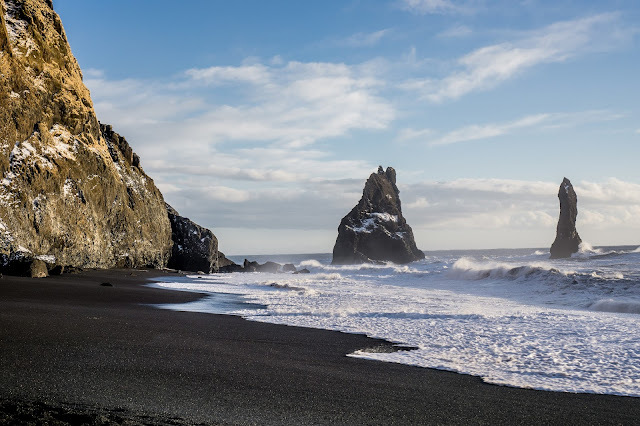 Our final main attraction of the day was Reynisfjara Black Sand Beach. This was another one of our favorite attractions with the huge waves crashing on the black sand beach and unique rock formations in the background. From there we made the final drive back Reykjavík where we rented another Airbnb for our final night stay. 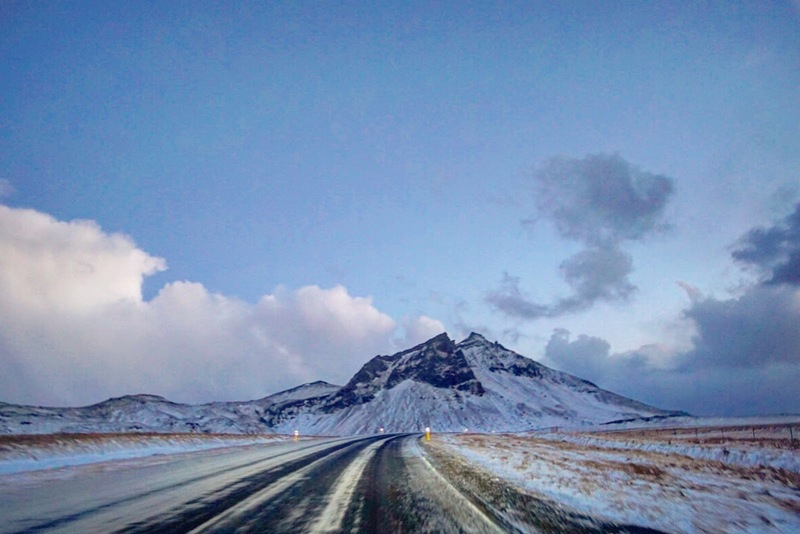 Tip of the Day- Weather: Iceland’s Winter weather can be very unpredictable and occasional storms can be bad enough to close down highways. 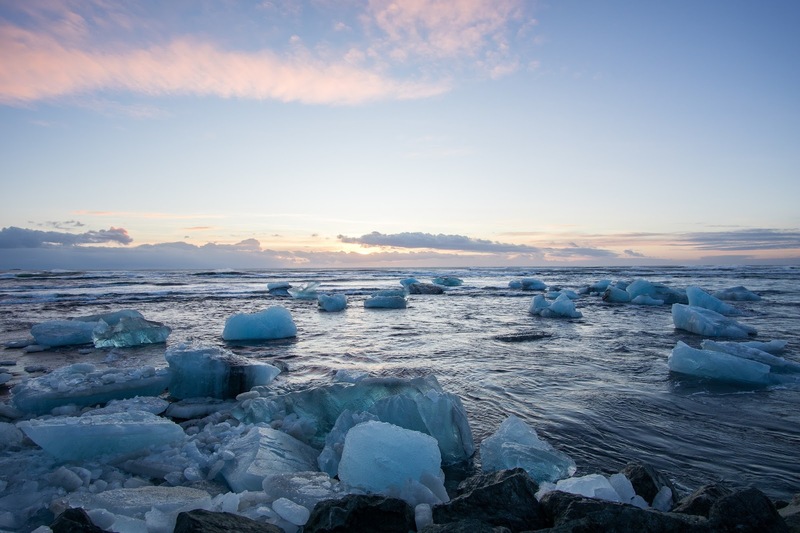 We recommend leaving yourself an extra.day to get to Reykjavík before your flight home to be on the safe side. 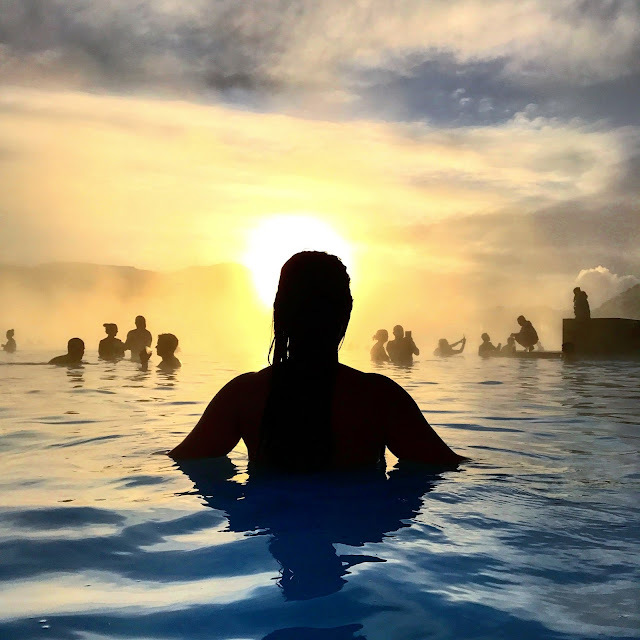 This was our last day in Iceland before our 5pm flight so we decided to check out one of the most famous Iceland attractions, the Blue Lagoon. The Blue Lagoon is located about 20 minutes away from the airport so it makes sense to visit once you arrive or before returning to the airport. This geothermal pool maintains an average of 98-104°F year round. True to its name, there is a blue tint to the water. The lagoon is known to have silica, algae & minerals which has benefits for skincare. Be sure to get the complimentary mud masks for some extra rejuvenation. From the blue lagoon we made our way to the airport, relaxed for the flight home ending an amazing trip for the books! Tip of the Day-Flight: To expand your amount of time in Iceland, book a flight at the end of the day. Due to the time change, you will gain time back when returning home. We took 5pm flight from Iceland and landed around 6pm in Boston.